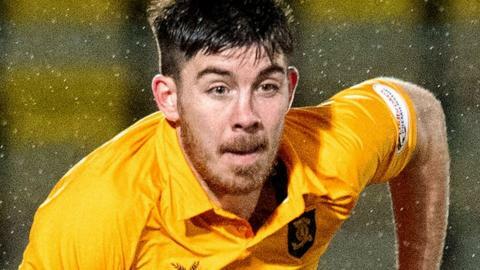 Motherwell agree a deal to sign defender Declan Gallagher from Scottish Premiership rivals Livingston this summer. Rangers will host Celtic in the second last game of the Scottish Premiership season after the post-split fixtures were announced. Livingston manager Gary Holt says defender Craig Halkett's move to Hearts is a "happy ending" type of transfer. Can Hibs be caught in gallop to top six? Read more on Can Hibs be caught in gallop to top six? Wasteful Celtic are held to a goalless draw by Livingston and miss the chance to potentially clinch the Scottish Premiership title. All the arrivals and departures during January in the Scottish Premiership. Tighter at the top & weaker at the bottom - how does the Scottish Premiership compare year-on-year? How does the Scottish Premiership table now compare to this stage last season and how much can it tell us about how the season might finish? Read more on Tighter at the top & weaker at the bottom - how does the Scottish Premiership compare year-on-year? You could build a decent top-six team from the players coming out of contract this summer in the Scottish Premiership. Who's made team of the season so far? Celtic and Rangers each provide three players, but which other clubs feature in Rob Maclean's Scottish Premiership team of the season so far? Read more on Who's made team of the season so far? Who made it into BBC Scotland commentator Rob Maclean's Premiership team of the week? BBC Scotland commentator Rob Maclean makes his selection from the weekend's top Scottish Premiership performers. All the arrivals and departures this summer in the Scottish Premiership. French fancies & exploiting England - what's happening on deadline day in Scotland? What moves might happen? Which have already been completed? And test your transfer window knowledge as it prepares to shut in Scotland at midnight on Friday. Read more on French fancies & exploiting England - what's happening on deadline day in Scotland?